The Government of India has begun the process of procuring 234 new naval helicopters, of which 123 will be anti-submarine warfare (ASW)-capable multi-role helicopters and 111 twin-engine utility helicopters. The Times of India reports that the program, which will be implemented under the “Strategic Partnership” policy of India’s Ministry of Defence, will be worth more than $5 billion U.S. Under the Strategic Partnership directive, the winning original equipment manufacturer (OEM) will deliver the helicopters in collaboration with a defence industry partner from India’s private sector. New Delhi’s main objective is to see upwards of 70% of the sourcing be done domestically. According to the Times of India, OEMs are expected to submit responses to New Delhi’s call by October, at which point OEMs will receive request for proposals (RFP) from India outlining specific technical as well as commercial requirements surrounding each (or in some cases both) helicopter programs. The aim of both helicopter programs is to fully recapitalize the Indian Navy’s rotary fleet, which is not only aging, but is also quantitatively insufficient to cover the Navy’s burgeoning surface combatant fleet of new corvettes, frigates, destroyers, amphibious vessels and – in time – aircraft carriers. While the Strategic Partnership policy was approved in May, it may require additional time for Indian government policymakers and industry officials to properly define and implement. The model being proposed carries risks of inefficiencies and limited cost-savings for the exchequer. For example, companies that win a bid in one area (e.g. vehicles) will be precluded from competing in bids in other fields (e.g. aircaft), even though that specific firm may be the most efficient competitor for both programs. Restrictions to foreign investment in joint-ventures (49%) will push most of the risk (51%) to Indian companies. In the case of a partnership not succeeding, the OEM will still benefit from the sale of technology, while the Indian partner will be left with incurring most of the losses. However, the Indian government placed these rules to ensure that lucrative opportunities are not limited to India’s one or two private sector players as well as to support the domestic economy. Through its partnership with Boeing and Lockheed Martin (via prior offset agreements), Tata Advanced Systems is a leading private-sector aviation vendor. However, its sister subsidiary in vehicles could become a military vehicle manufacturer. Keeping a vendor to a single field is meant to prevent monopolies, though it could be inefficient as well if a lesser quality manufacturer is relied upon for another program. In any case, Tata Advanced Systems will likely partner with Lockheed Martin, which owns Sikorsky. 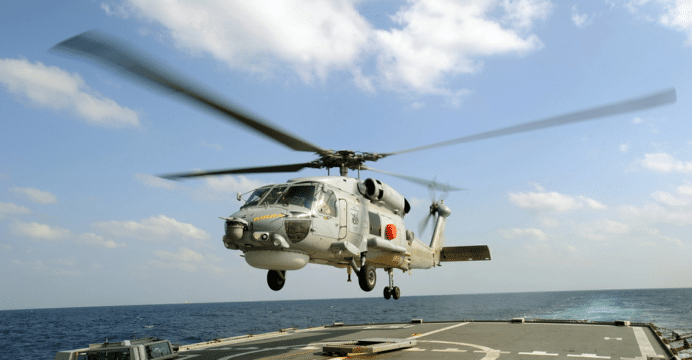 Sikorsky’s Seahawk/Black Hawk range would be natural fit for the Indian Navy’s ASW-capable multi-role helicopter requirement. Tata Advanced Systems is also manufacturing sub-assemblies for the Sikorsky S-92, a new ASW-capable variant of that could be a possible avenue. The main competitors will likely be Airbus Helicopters and – if un-blacklisted by the Ministry of Defence – Leonardo. The light utility helicopter program will see a larger group of competitors with Lockheed Martin/Sikorsky, Airbus Helicopters, Bell Helicopter and – if un-blacklisted – Leonardo.